What happens if self serious carries the day over self deprecation? You get Anish Kapoor, the British artist and sculptor who is best known for creating the Bean sculpture in Chicago’s Millennium Park. Kapoor doesn’t like it when you call it the Bean, instead preferring you that you use the … Read the rest of this article! Think about that. 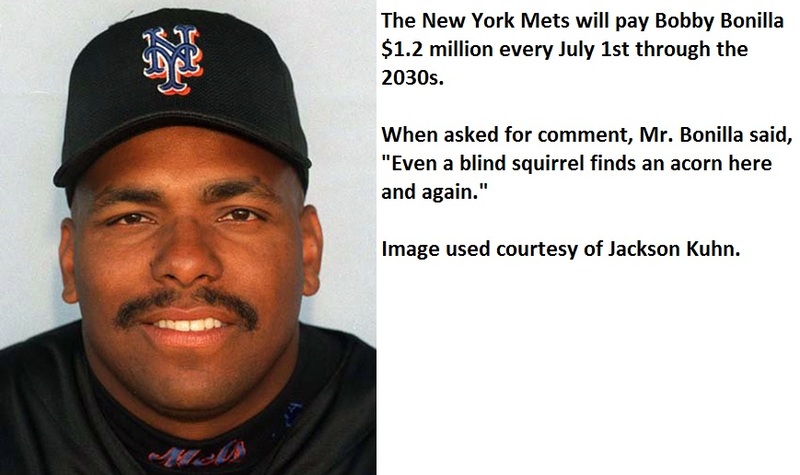 In 2036, Bobby Bonilla will be collecting $1.19 million for a decision he made in 2000. That, my friends, is how you … Read the rest of this article!